Herb Geller won the Down Beat critics’ poll as new star on alto in 1955. Highly visible during the 1950s with well-known West Coast bands as well as groups of his own, he was known for a virile style that featured a full, even tone throughout the instrument’s range, a precise technique and extraordinarily fluid, bop-flavored ideas. Geller settled in Hamburg, Germany, in the 1960s and played with a radio-jazz orchestra there for more than 25 years. 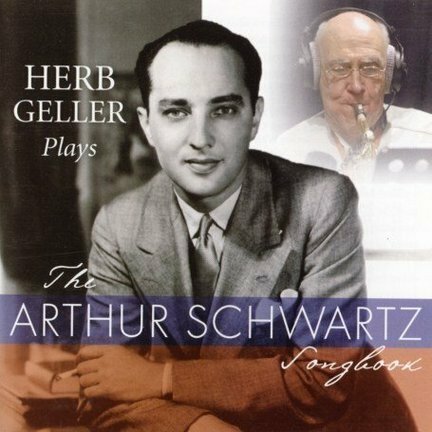 The Arthur Schwartz Songbook features Geller on alto and soprano accompanied by an excellent British rhythm section of pianist John Pearce, bassist Len Skeat and drummer Bobby Worth, all broadly experienced players. The album’s honoree, Arthur Schwartz, composed the music for some of America’s most enduring popular songs, among them “Dancing in the Dark,” “Then I’ll Be Tired of You,” “Alone Together,” “You and the Night and the Music” and “That’s Entertainment.” Those and 10 other Schwartz compositions are included here. Although Geller was 76 years old at the time of the recording, his alto tone is still smooth and full, his technique is still exact and his ideas still flow effortlessly. On soprano, his warm tone and style are suggestive of Zoot Sims.